Home Automation is the upcoming thing in the world of technology. Also known as Domotics, this system basically tries to control all the appliances and other features at your home electrically with the help of some remote or maybe an app which you can install in your favourite device including smartphones or tablet devices or even computers. This is an evolving system and is not yet common amongst people. The best benefit which a Home Automation system provides is automatic door locks. The mistake which we tend to make very often is that we leave our home and later realise that we forgot to lock the door. But with the Home Automation system in place, we can lock the doors of our home with just the tap of a finger. You will not have to rush back to lock the door and can live with a peace of mind. The doors will be locked instantly and hence there will not be any chance for the burglars to sneak in. It is a fact that you cannot be everywhere at once. And the burglars take advantage of this fact to try and steal away with you things. But with the Home Automation System, security cameras are installed at your home and you can operate them with the click of a button. By this, you can always make yourself aware about what is happening near your surroundings and at your home and hence keep an eye on any burglar trying to sneak his way through. With the Home Automation system, sensors and alarms are installed at your place. Any unwanted movement is easily identified by these sensors, which then turns the alarms on and alerts you of any danger. This is a great feature of the Home Automation system and it scares the burglars away from even trying to attempt a burglary in your home. The alarms are very loud and can be easily heard from a distance as well. So even when you are not at home your neighbours can be alerted. Hence, the burglary can be stopped before any real damage gets done. The Home Automation system is not only capable of scaring the burglars away and keeping you alert allthe time about these intruders. But if you programme it in a good way, then it can even help you to contact the local authorities. Yes that is right. 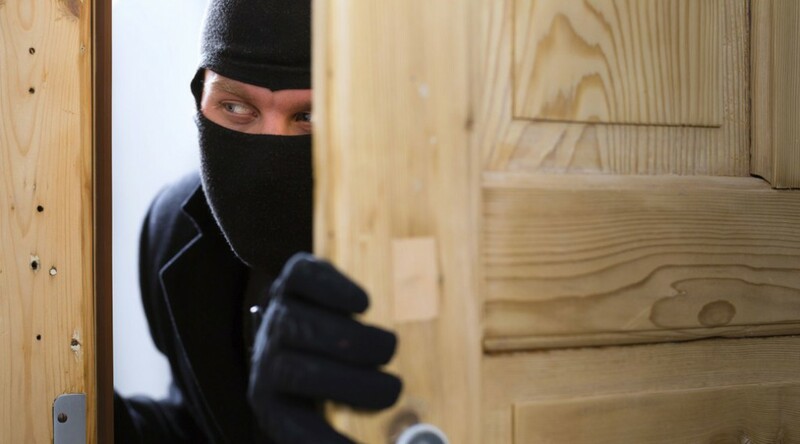 If an intruder or a burglar tries to pave his way in and do some damage, then the Home Automation system will not only detect it and raise the alarms, but it will also send the information to the local authorities and alert them of the intrusion so that they can reach soon and help you in getting hold of that burglar. We can say that light is counterintuitive to burglary. And this is the primary reason for most of the burglaries to take place in the dark. But with the Home Automation system in place, the lights will automatically turn on in case any danger is sensed. This can alert you and also make the burglars get scared and run away. To conclude, we can say that burglars are the biggest threat to our security and our important belongings. But if you have a Home Automation system in place, then it can ensure through various means and ways that your home can be safe from those burglars. It can lock doors, sound alarms, keep you updated, aware and alert and also inform local authorities, all of which are more than enough to keep you and your home safe from any sort of burglary or theft.